Paros is the third largest island of the Cyclades Islands, found in the heart of the Aegean. It combines natural beauty, with culture and fun. Simply walking around Paros is an education in art and history. Throughout the island you will find hundreds of churches and monasteries, archaeological monuments and sites offering you an insight into its history.Let’s have a small tour in another, more cultural and artistic part of Paros…. If you want to get an idea about the history of this island which has been populated since the Late Neolithic Period, a visit to Archaeological Museum in Parikia is in order. The Museum features samples of art sculpted by Parian craftsmen using the famous Paros marble and also exhibits finds unearthed during the excavations that began in the late 1800s and are still continuing today. The old-Christian Church of Panagia Ekatontapiliani built in the 4th century is the pride of Paros. It is the often cited as the reason that visitors return to the island again and again. The Church with One Hundred Doors, celebrates the Festival of the Dormition of the Virgin Mary on the 15th of August. For Paros Island and Greece generally, the date is one of the most important in the entire year and centers on feasts and celebrations. Locals gather throughout the island and dance, play traditional music, eat and drink and have lots of fun. Usually the festivities continue right through until dawn the next morning. Another religious summer festival is the Feast of Agios Ioannis Detis on the 29th of August in the peninsula of Agios Ioannis Detis in Naoussa. Nearby you will find the Environmental and Cultural Park of Paros, where you’ll be blown away by its natural beauty. A protected area, it is filled with stunning rock formations, caves and beaches with crystal waters. Every summer it is the setting for “Festival at the Park” which runs cultural, sports and environmental events from June to October. But that’s not all. Paros also draws artists from around the world, who come to live, work and exhibit their work on the island. 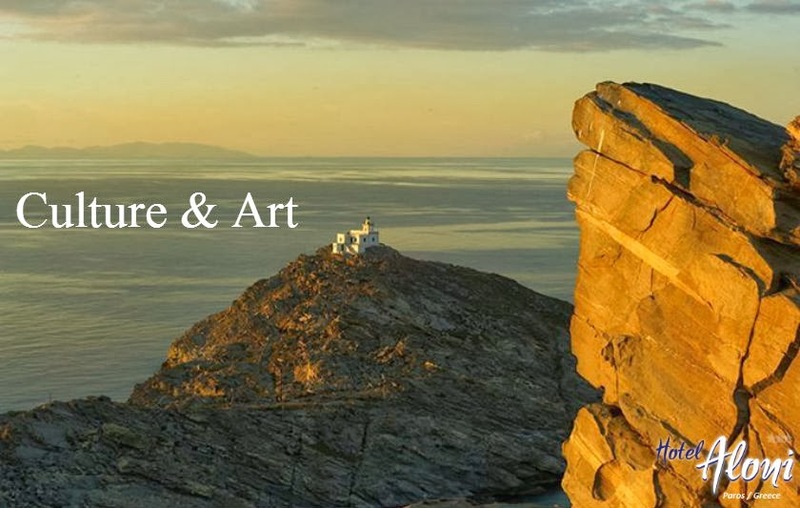 There are many Art Schools, most not-for-profit like the Aegean Center for the Fine Arts, Music Schools and Dance Academies such as Music, Dance and Theatre Group, Art Galleries and Exhibitions. Each is a place where local artists, teachers, craftsmen and sculptors can share their work and pass on local traditions to the next generation. One new entry in the islands cultural calendar is the “Jazz in Paros island Festival” featuring jazz-related music performed throughout the island on outdoor stages. It’s a unique experience for music enthusiasts.